According to the Mexican Fed, a '96 from San Diego named Fernando David Arce Juarez moved to Xolos this year after a couple of seasons in the Santos Laguna system. He appears to be a midfielder. Is he Fernando Arce's son? I was wondering this too... meaning Arce was 16 when he had him which is possible. Fernando Arce started and went 53 minutes today, picking up a yellow card, as the Club Tijuana U-20's started the 2013 Apertura with a 3-1 loss to Atlas. During the 2013 Clausura he made 9 starts for the Club Tijuana U-17s and played 18 minutes in 1 substitute appearance for the Club Tijuana U-20s. Tom Collingsworth and Dave Marino-Nachison repped this. I find this interesting because his father is a Mexican international and has been playing in Mexico his entire career so I would guess his Mexico connections are stronger than the American ones. I'm going to assume he was born in the USA or maybe his mother is American. Soccerwise - he made his first team debut a few days ago in a friendly vs. Tigres. Bit taller than his dad too. Testudo, Tom Collingsworth and Pl@ymaker repped this. He must have an American relative, probably his mother. His father is only about 5'7, so he must be about 5'10 by my estimation. My estimations on heights are pretty bad though. Doesn't look like the mother is American actually. She tweets only in spanish. I'm stumped. How could this kid be eligible for the USA? Was he born in the USA? Maybe on vacation? at first i thought it was referring to the original fernando arce. now you're telling me it's his younger, taller, better looking son? if he has any of the wizardry of ol' papa he'd be a great player. So apparently he appeared at the end of a preseason friendly at the StubHub Center between Tijuana and América, being substituted in for his dad. Testudo, Pl@ymaker, Tom Collingsworth and 1 other person repped this. Oops. I meant to say America, not Tigres in my post. 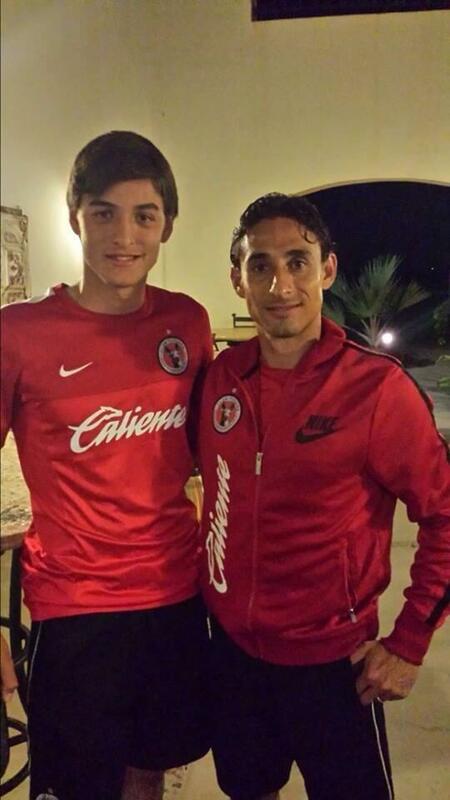 Arce went the distance as the Club Tijuana U-20s opened the Clausura with a 2-2 draw against Atlas. The Mexican Fed lists his place of origin as San Diego. In the final seconds of the Tijuana Xolos’ 3-3 draw against Club América in a preseason exhibition at the StubHub Center on Dec. 28, Tijuana coach César Farías called for a substitution. GiallorossiYank and Testudo repped this. We should just have a Tijuana Xolos thread up in here to keep track of all their AmerMex players. Because Americans have to tweet in English? They don't have to, but I went back a little while and didn't find a single tweet in english. How do you know that she speaks english? I have no idea. Still has nothing to do with being American. But anyway it looks like he was born in San Diego, so that answers that. The FMF says he was born in San Diego. That seems pretty definitive. This is one to keep a very close eye on. Getting first team minutes, even in garbage time, is a big deal at 17. Not to mention he said himself that he was born in San Diego. Gotta be his father, right? Isn't he on the MexNats? He looks pretty dang familiar. Regardless, Gomez also had the assist that led to the might-be American dad's goal. That is his dad and yep he is with the Mexican team, but don't know if he will make it to the World Cup.